The Stormtrooper's orders are clear - to keep you looking snazzy! 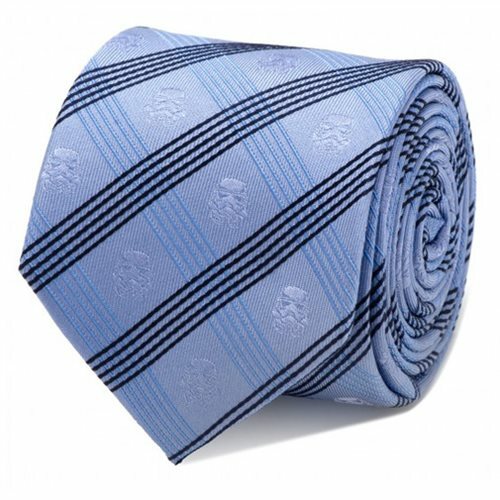 This Star Wars Stormtrooper Blue Plaid Italian Silk Tie is colored in multiple different hues, and even incorporates the iconic Stormtrooper helmet into the plaid design. It's the perfect gift for the fancy-dressing Star Wars fan in your life! Measures 59-inches long x 3-inches wide.